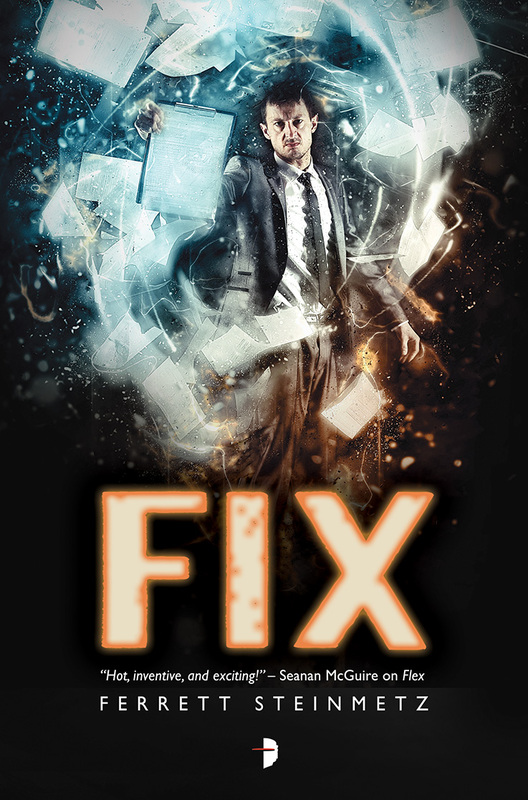 FIX is the third book in the ‘Mancy series by Ferrett Steinmetz. 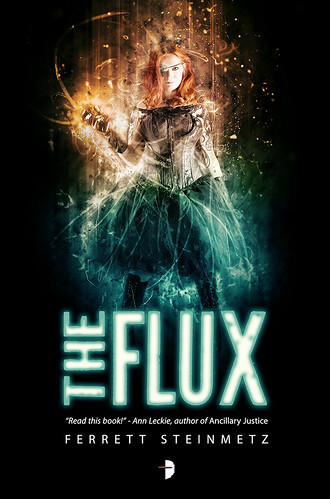 Before I go any further, if you haven’t read the previous two books, FLEX and THE FLUX, I would recommend stopping now and consider reading the earlier books (I reviewed them here and here respectively). There’s been enough backstory and worldbuilding in the first two books that I think starting with the 3rd book might not be the best way to read the series, and it will spoil a bunch of the major plot moments in the first books as well. 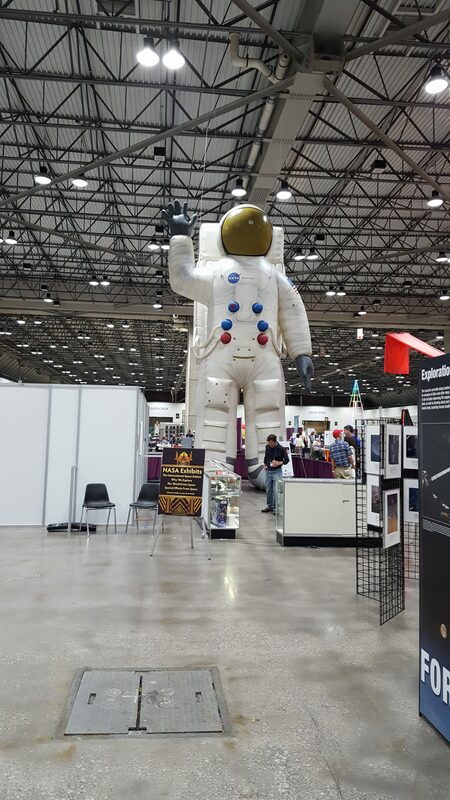 I am back from WorldCon 74, also known as MidAmericon 2, which was held in Kansas City, Missouri from August 17-21! I am back into my normal swing of things and trying to work my way back into the normal everyday types of things that WorldCon wasn’t. THE FLUX takes place a couple years after the FLEX, and mostly centers around the same three characters. The magic (or ‘mancy) in the universe of these books is extremely personal–if you are obsessed enough with something, that obsession can bend the universe around you to suit your beliefs. But it comes at a cost–every time a ‘mancer changes the world with their ‘mancy, the universe pushes back against the change with flux. Flux is a load of bad luck proportional to the extremeness of your mancy. Another solid year of Pseudopod after they and their sister podcasts came back from the brink of having to close due to lack of funds. Just a few days ago there was a metacast that announced big new things coming up, including that Alasdair Stuart and J. Daniel Sawyer are now owners of the company. Drabblecast is as good as ever, still one of my favorite fiction sources. Still edited by Norm Sherman. Still has a stellar Lovecraft month in August when they publish one Lovecraft stories and three unpublished stories by contemporary authors in the cosmic horror subgenre. They published 48 stories in 2013. Escape Pod, and the other Escape Artists casts had a bit of a crisis to overcome this year–they realized that although they had a great listenership, only 1% of the listeners donated, and it wasn’t enough to keep the publications afloat. The good news is that when they revealed this there was a strong reaction to add subscriptions–if you read this and you like the cast, consider adding a subscription. It’s award season again! If you’re eligible to vote for the Hugos, you have until the end of March to decide on your picks. I wanted to share my picks, as I always do, in plenty of time so that if anyone wants to investigate my choices to see for themselves they’ll have plenty of time. 1. They were officially added to the SFWA list of professional markets, the first audio market to do so. 2. Mur Lafferty announced her resignation of the editor position, official at the end of the year, citing too many projects that she’s signe don for. In 2012 Podcastle published 51 feature stories, with 8 miniatures. I’m a bit of an odd duck in my reading habits, in that I ready only a small niche of the types of stuff out there, but I read that very deeply. Almost all of my fiction intake comes from fiction podcasts, which are all Short Story categories, but are often reprints from previous years which are not eligible. I do read novels, but have not read any written in 2012 yet, because I am a slow read and because I re-read the entire Wheel of Time series that pretty much took all year, in preparation for the 2013 release of the final book.